Product prices and availability are accurate as of 2019-04-19 20:25:45 UTC and are subject to change. Any price and availability information displayed on http://www.amazon.com/ at the time of purchase will apply to the purchase of this product. Author Bookstand is proud to offer Christmas All Year Round: The Secret to a Joyous Christmas by Bookstand Publishing. Christmas All Year Round: The Secret to a Joyous Christmas has generated a lot of interest and excitement and we think it would be an excellent addition to your library. Christmas is the most wonderful and magical time of the year. Do you love Christmas but the season causes you stress? This book takes you through the four seasons of the year and guides you step by step on how to seasonally prepare for Christmas. It may seem like a bit of work but following the guide will surely bring the joy, calm, and peace that is the true spirit of the season. 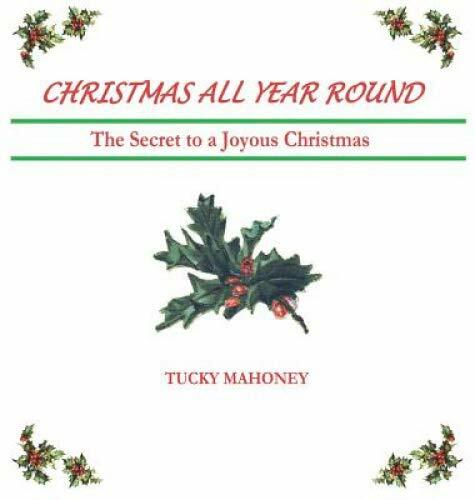 The book also has personal notes of how the author has experienced Christmas all year in her own life. In the back of the book there is a guide to write and take notes on your shopping, gift giving, and all preparations needed for an easy Christmas. If you read and use it, surely Christmas will be happier, peaceful, and by far less stressful.